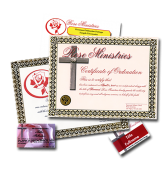 Ordination package containing everything you need to start a Full-Service Ministry, with resources to perform Weddings, Baptisms, Funerals, Worship Services and more. 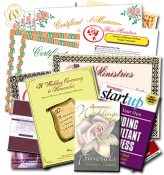 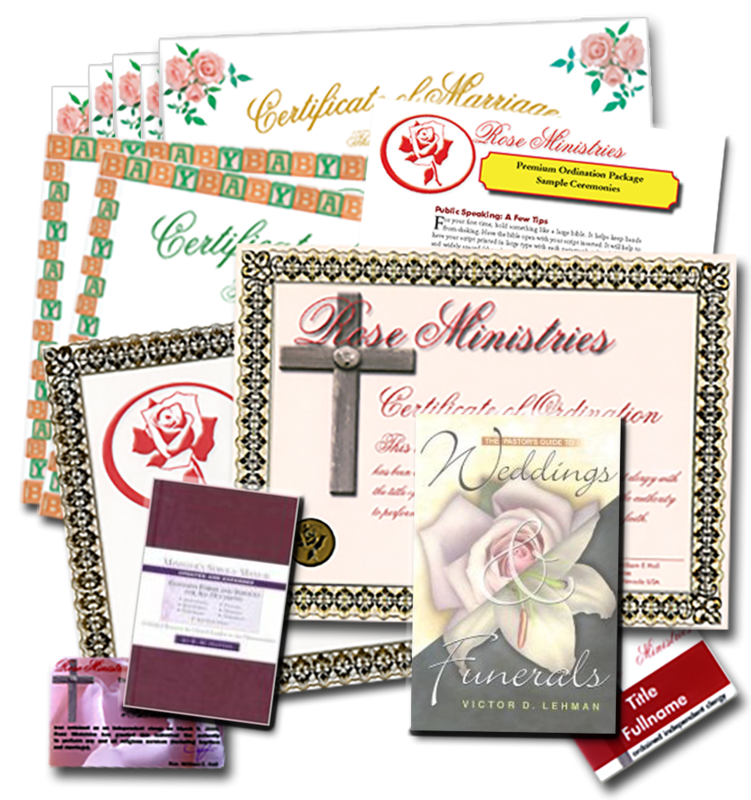 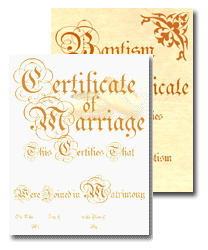 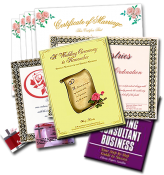 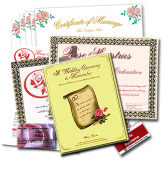 Five Wedding Premium Certificates, "ready to use". 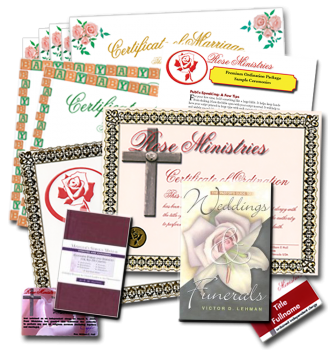 Five Baptism Certificates, "ready to use".